If you don’t know Akron, Ohio, you might be surprised to find a major charitable foundation deeply invested in creating an entirely new urban landscape that will support and encourage new economic activity in this former Rubber Capital of the World. However, if you know Akron, you know this is where the late John S. and James L. Knight got their start as newspaper greats, and it seems fitting that the Knight legacy continues to shape the city’s future in an extraordinary way. Because of Knight Foundation investment, Akron has a new organizational structure in place to ensure that we systematically draw on the strengths of our anchor institutions in order to generate new economic opportunity. At University Park Alliance (UPA), our role is to do the practical work, as discussed in Marian Urquilla’s March 29 blog post, to align “disparate actors” toward common goals. Our approach mirrors Ms. Urquilla’s recommended strategy in that our focus is clearly and narrowly defined. Last year, for example, UPA developed a Core City Vision Plan to revitalize a 50-block area around The University of Akron; architectural renderings illustrate our concept of an urban lifestyle in an environment of research, education, innovation and civic engagement. If Akron presents a new model for such an ambitious undertaking, it is because we have strong anchor institutions and civic leaders who work collaboratively together. UPA’s job as a nonprofit community development corporation is to leverage these anchor institutions so that new development occurs within the core of our city, ultimately blurring geographic lines between the downtown, the university and three regional hospitals all in close proximity. Our vision calls for major capital investments within the context of the highest ideals in urban planning. Priorities include livability, walkability, mixed-use density and high quality of life for people. Recently, Akron gained national attention by drawing in the international real estate firm KUD International as project manager and financial backer of large-scale capital investments in our target area. KUD’s corporate leaders made it clear: They came because of the strength of our master redevelopment plan, our team of community leaders and our assessment of current economic activity as an indicator of future potential. Most recently, new research by Tripp Umbach projects that by 2030, the implementation of our Core City Vision Plan will generate $1.8 billion in economic activity, $90 million tax revenue and 14,392 jobs. However, today Akron looks poised for growth with Knight Foundation as a critical partner. By taking philanthropy to a new level – through investment in an organizational structure that can propel new growth – the Knight Foundation helped Akron create a necessary new toolbox to carry out a growth strategy in a way anchor institutions could not do independently. Today, what’s special in Akron is the gritty, audacious push to make this city a towering example of the power to plan locally for global success. We in Akron have a big view of the concept of collaboration. For us, it’s about channeling resources in a way that can make Akron a global competitor – while creating an attractive place where people can work and live and enjoy a high quality of life. We view ourselves as a model for how a city can draw on existing assets, leverage a spirit of collaboration among community leaders, and pave the way for new prosperity as a real alternative for older cities. Eric Anthony Johnson is executive director of University Park Alliance. _ You may follow Akron’s future developments on Dr. Johnson’s _ CoreMatters_ blog_. 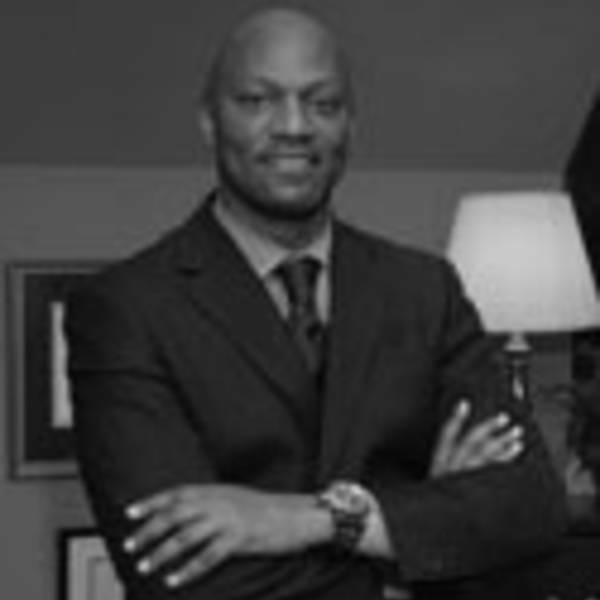 Eric Anthony Johnson is executive director of University Park Alliance.